This stunning beauty is a handcrafted piece of art. 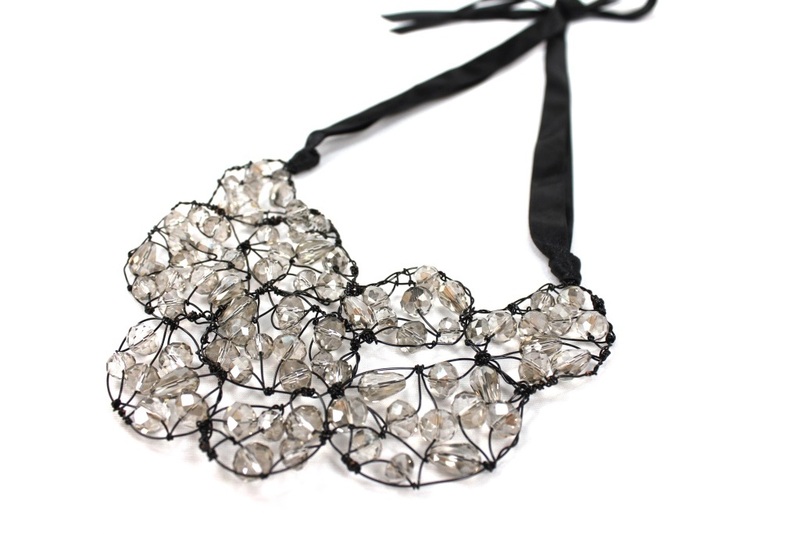 A cluster of crystals hand wired to make this beautiful statement piece will brighten up any winter look. 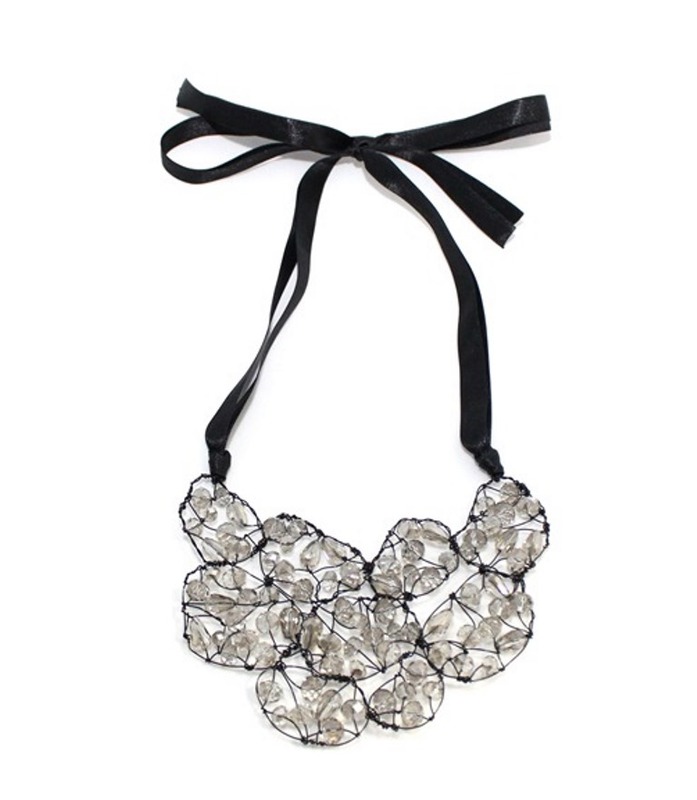 Black ribbon makes this piece adjustable in length.